Writing and Marketing: Marketing Strategy - How Often Should You Post to Your Blog? Marketing Strategy - How Often Should You Post to Your Blog? Since I'm asked a number of marketing questions, I decided to make Fridays marketing question day. I know I said my posting days would be cut to two a week for a while, but I read a statistic on Hubspot.com that said businesses, in our case bloggers, who post 20 or more times a month get FIVE more times traffic than those who post only a few times a month. It just makes more sense to post the extra day a week, even if it's a not a full article length post. While the word count may be less, the information is still valuable! So, the question for today is: How often should you post to your blog? Post as often as you can to your blog. Can't do five days a week? Shoot for three. If three is too much for you, think of doing what I'm doing: two full posts and one mini post. If it's still too much, try to post at least twice a week. 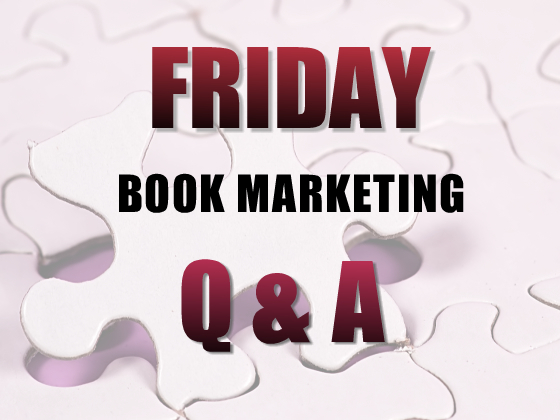 Have a marketing questions? Ask away! Here's my take. When you blog, it's not enough to write something and post it. You need to visit other blogs and comment and reciprocate. It doesn't matter how long your post is, it's still work. If you don't have time to do this three times a week, you're better off posting only twice a week. If you only getting a handful of comments each post, it's not a big time commitment. If you get tons, it's obviously a lot more work. Hi, Stina. Commenting on other blogs is important, It's important for search engine visibility, for community visibility, and for making connections. Thanks for your input!